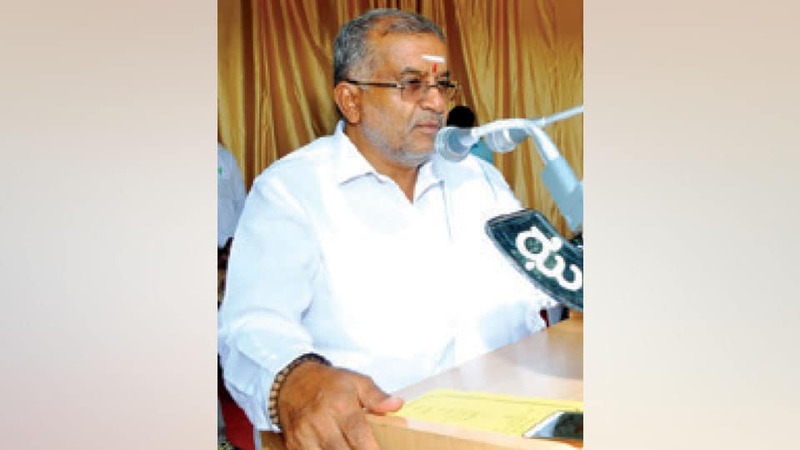 Mysuru: Higher Education Minister G.T. Devegowda has advised girl students of a city college to desist from falling in love. “Friendship is greater than love. Even if boys try to seduce them into love, girls should make them understand the value of friendship instead of falling in love. Love invites a lot of resistance from parents and relatives. There is no certainty in love. Youngsters also lose the support of elders. So, the students should strive to secure their future through education,” he said. “If friendship turns into love, the girl students must advise the boys to focus on studies rather than falling in love. Girl students must not join the boys and commit a mistake. Friendship is better than love,” he said. The Minister also advised students against the use of artificial cosmetics for makeup. He said youngsters should not spoil their skin by using cosmetics. “These days many girl students depend excessively on make-ups. These are harmful materials that if applied daily will spoil the skin and deface the natural beauty. Earlier, girls used turmeric and sandal that helps protect the skin in a natural way. Now instead of kumkum, girls wear plastic bindi that is harmful for skin. Natural is beautiful,” he added. Primary and Secondary Education Minister N. Mahesh also joined Devegowda in advising the girl students. Seriously??!! Such comments from a Higher Education Minister is very misleading. Boys should be equally responsible and this message clearly misconstrues that girls are responsible for whatever bad happens to them! Until such mentality exists in the society there can never be gender equality. Mentality should change from the top. Mr. Minister, Love Marriages are the one which kills the caste system.